English Reading List 2018-2019 – Hands-On Chinese Fun! Life is very very busy. Aside from full-day school, he has many extracurricular activities now at that he didn’t have as a preschooler. One of my goals for him is to try different genres instead of sticking to his preferred. I would like to balance reading “fun books” and “classics”. How to gauge comprehension? Since he is left to read English silently to himself, how can I assess if he really comprehended the book? This blog post is mainly about how I problem-solved the aforementioned challenges. One thing that changed since starting Kinder is that he is completely wiped out by 8pm. As in his eyes are all puffy and he can barely keep them open. He has always done most of his reading before bed but clearly this would no longer work. The other thing I realized is that my son really does best when he reads alone in his room. It’s impossible for him to read in the presence of other people because he wants to snuggle or talk or people watch or whatever. After a bit of trial and error, he now does his reading right when he wakes up in the morning from 7-8am. This is a sufficient amount of time where he is able to either finish a short chapter book or read several chapters from a longer book. At bedtime I read to him in Chinese and his dad reads in English. He just sits back and listens. I am happy to report that this change in schedule is working very well. Depending on who you talk to, some will say let your kids read whatever they want. Others will say only let kids read “Montessori style” or “Charlotte Mason living books” or you’ll rot their brains. I guess I would like to balance both. I read a lot of junk growing up and still enjoy it so I have no issue with my son reading useless crap like Plants vs. Zombies or Dog Man, as long as that’s not the only thing he reads. I started by assessing his reading level using the San Diego Quick Assessment shared by Guavarama. I scored him strictly on this test even if the errors were slight, such as when he read “interrupted” as “interrupt” or “develop” with the wrong intonation. I’ve given such tests at work and know that scoring should be done very strictly. The results turned out pretty much as I expected, with him able to read independently at “3rd grade level” and should be instructed at the “4th grade level”. This of course is not entirely true because he is 6 y.o. and does not have the maturity or comprehension of a true 3rd or 4th grader. In fact I would say that he has trouble reading some “2nd grade level” if it’s not a topic he is familiar with, but can read “5th grade level” if he’s interested and it has plentiful illustrations like Captain Underpants. I decided it would be appropriate for him to read books from 3rd-5th grade and found some recommended lists online and bugged my friends with genius kids with lots of questions. Amount of illustrations, size of font, length of book, child’s interests, etc. have to be considered as well. Several things to note about kids: 1) They like to have choices and 2) They like to see the covers of books. These are stated in Jim Trelease’ The Read-Aloud Handbook and I think holds true for most children. Of all the books I shortlisted as appropriate for his reading level and age, I made a visual reading list using images from the internet, scotch tape, and a manila folder. It makes it much more captivating to see the pictures of books vs. if I just gave him a written list. It’s also very important that he has choices vs. me saying this is the assigned book you’re going to read RIGHT NOW. It’s been a couple weeks and the visual list is working out really well. He has read books I didn’t think he was capable of or interested in! I have all the books organized in order of reading level from The Magic Finger AR 3.1 (beginning 3rd grade) to The Mouse and The Motorcycle AR 5.1 (beginning 5th grade). I did not tell him this because it is for my own reference. I do not think AR levels are 100% accurate but are helpful as a guideline. As you can see, he is able to read across a range of reading levels and I do not discourage him from reading something that is “too easy” or “too hard”. I also get him “fun books” such as graphic novels and 13-Story Treehouse series from the library. These are no-stress, enjoyable reads. He generally alternates between the “reading list” and “fun books”. After he finishes something challenging, he takes a break for a few days. I also encourage him to try more by the same author if he liked a book. For example after he read Roald Dahl’s The Magic Finger, he was inspired to read Matilda even though it’s not on the list. I usually spend most of our time together focused on Chinese and largely leave him to read English on his own. However my concern is how much he comprehends, particularly for lengthy books with few pictures, or books that have a lot of bombastic vocabulary (e.g. Roald Dahl) he may be unfamiliar with. We practiced a few times together with highly familiar short stories such as Little Red Riding Hood, Three Little Pigs, then less familiar stories, before I had him try on his own. For shorter books I have him retell the whole book, but for longer books such as Matilda I have him summarize a chapter. I do not do this every day! It would drive us both crazy. It’s more like every few days or whenever I feel like I need to do a comprehension check. I feel like his English reading is on the right track and expect that at this rate he can finish this list by the end of Kindergarten or before. We do not have much time for English supplementation at home (no time even for English audiobooks, only Chinese) so this reading list and Lakeshore Daily Language Journal is all we are doing for now. Questions? Comments? You can follow my updates on Facebook and Instagram. Next postFavorite Chinese Kids Music – 7 albums FREE! I love the journal and five-finger retell idea! 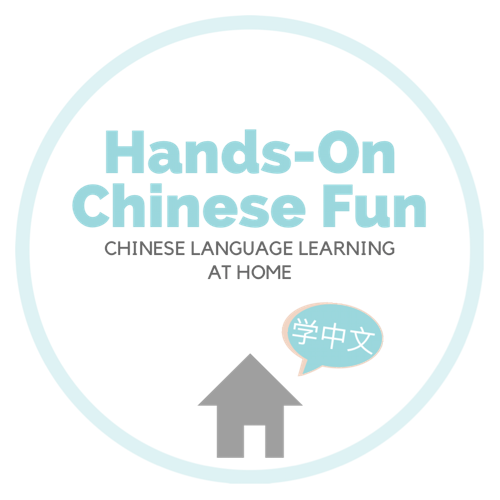 I created this blog to share resources for young children to learn Chinese language and culture. I would love to hear your comments and feedback! One of the learning tools we ❤️ these days is 康軒 learning magazine. Perfect for busy families because it comes with read-aloud CD every issue so now we learn so so much during car trips. 🚘The content is so informative and diverse: nature, science, current affairs, culture, Chinese idioms and poetry, and of course my son’s favorite COMIC!!! 👉👉👉Link in profile for full review. So many lovely new books! 😀😀😀Now just need to have time to read them.